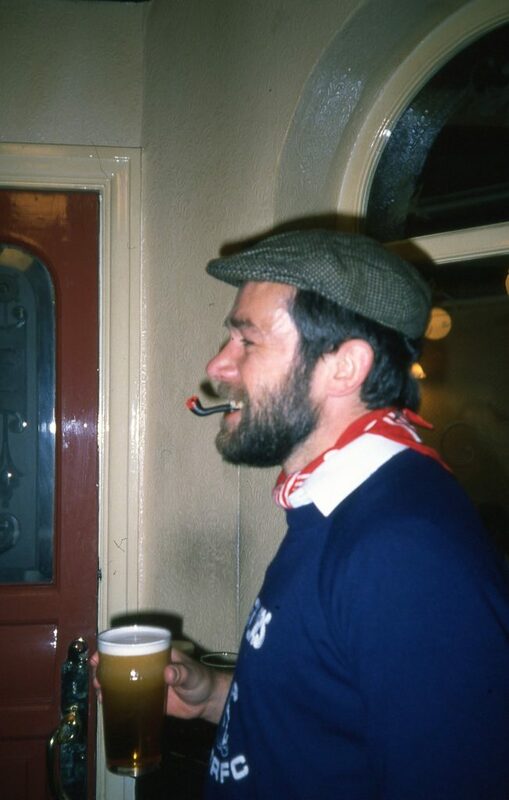 It is probably true to say that to the majority of Strollers Il Presidente, aka Les Anson, was in his role as Club Secretary a somewhat remote figure. An impression enhanced by the fact that he was only ever to be discerned behind clouds of smoke emanating from his ever-present pipe. If he was known to us for anything it was for epitomising the attitude of the club that meant a certain John Heritage, formerly of Warrington Rugby League Club, always appeared on the team sheet as Valpolicella, was only available for away games and had to be picked up en route to matches. It was therefore with some trepidation that Fifi Melrose approached him to arrange the paperwork for the next Strollers tour to Antwerp in 1989. His fears were confirmed when he was gruffly refused unless one condition was satisfied. What onerous task was Fifi to be given? 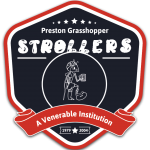 Would he have to vouch for the good character of all his fellow Strollers (an impossible task without perjuring himself)? No it was blackmail pure and simple. The paperwork would not be processed unless Les came with us. Cue consternation. Would he fit in? Was he going to report on our mis-demeanours to the Club Committee? Was he going to attempt to control our exuberance? Would he act like a “Blazer” and make excruciatingly long speeches at any opportunity rather than fraternise and drink? In short what should we do? Well the tour had to go ahead so we acceded to blackmail, weak willed individuals that we were. But how to assimilate Les? Then a stroke of genius. We would all go as Les Anson. 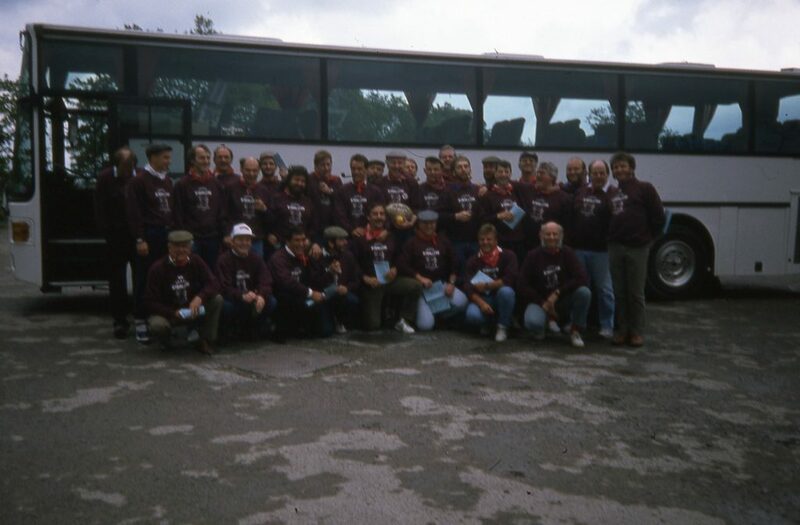 Therefore when we assembled at the Lane Ends a few months later it was like a Les Anson Convention. Every tourist sported not only the obligatory red spotted handkerchief but flat cap and pipe. To be fair not all were very good Les imitators and the pipes varied from corn cobs to a liquorice pipe but the spirit was there. What would Les make of it all and would he cope with us for the next few days? He entered the Lane Ends and stared around. Silence fell. Had we goofed? Would he cope with us for the next few days? The pipe came out of the mouth, he harrumphed and then the pipe went back into mouth to produce a monstrous output of smoke but those in the know could read the smoke signals – he was pleased and became a Stroller on the spot. The rest is history.